This post is sponsored by Baby Dove. As always, I only work with brands I use and love. Thank you for helping me support them. Baby Rebecca is officially here! Of course, you all already knew that, but – it’s still hard to believe some days that we now have two little ones! 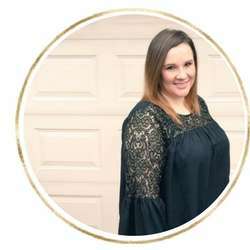 After her NICU stay and then the transition coming home and adjusting to life with a toddler and a newborn, needless to say, our routine has been turned upside down. Before baby Rebecca’s arrival, we had a pretty strong bedtime routine for Levi. 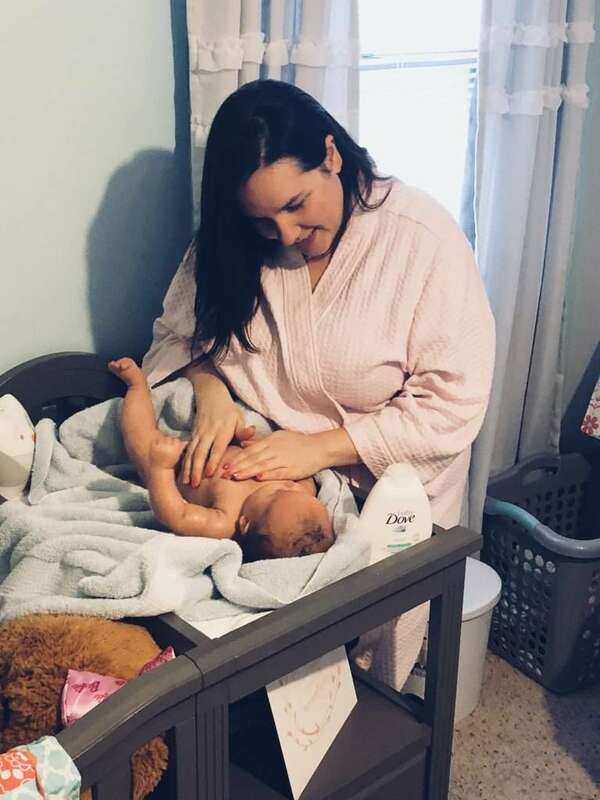 Now that things have settled down a bit, we’re working on getting back into a bedtime routine and I have noticed that this routine is also helping Rebecca to sleep better. 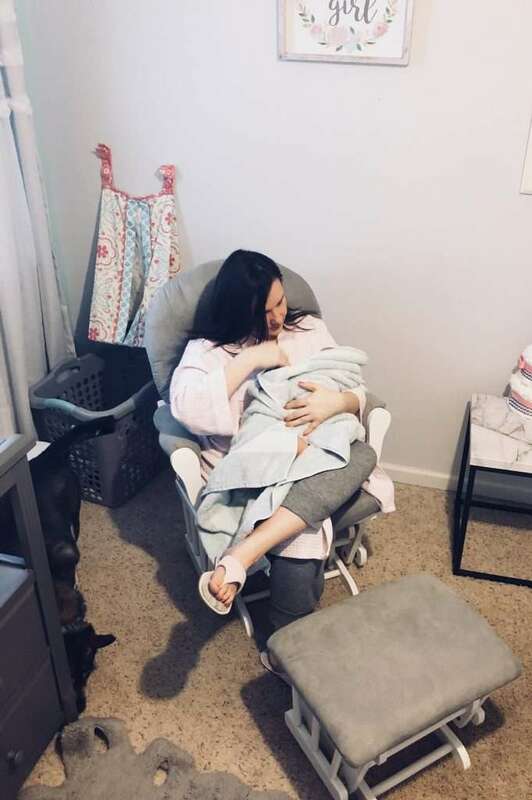 I think most parents would agree with me when I say that sleep is a pretty hot commodity that first year of your baby’s life and we would do almost anything to get more of it! These 5 simple bedtime routines will help your newborn sleep better and in turn, help YOU sleep better! 1. Create the perfect sleep environment. Of course, the room where your baby is sleeping is the perfect place to start with this perfect sleep environment, but the entire home is pretty important as well. About an hour before bedtime, start dimming the lights and if you can, turning off electronics. If you have the TV on, lower the volume or turn it on something calming (animal shows, nature documentaries, etc.). For us, this is just as important for our toddler as it is our newborn. In their sleeping areas (toddler in his room, newborn in our room), we have a white noise machine as well. 2. Read a Story. You may think your newborn isn’t getting much out of this, but it has been scientifically proven that reading to your little ones is highly important for their development. We read a short story to Levi each evening, and while Josh is reading the story, Rebecca and I ‘sit in’ on story time as well. 3. Bath Time is important, too! 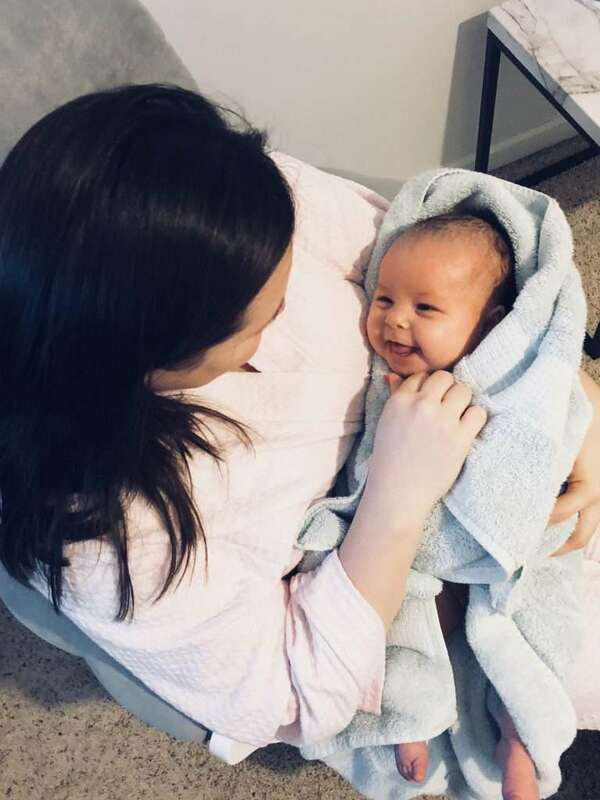 We all know how relaxing a shower or a bath is, the same is true for newborns! Even if your newborn isn’t a huge fan of the water, it does help to relax them. Personally, I love Baby Dove Sensitive Moisture Tip to Toe Wash for bathing our sweet girl. It is free of dyes, parabens, phthalates or sulfates, which is very important for me as a mom. I also love that it is hypoallergenic and fragrance-free. 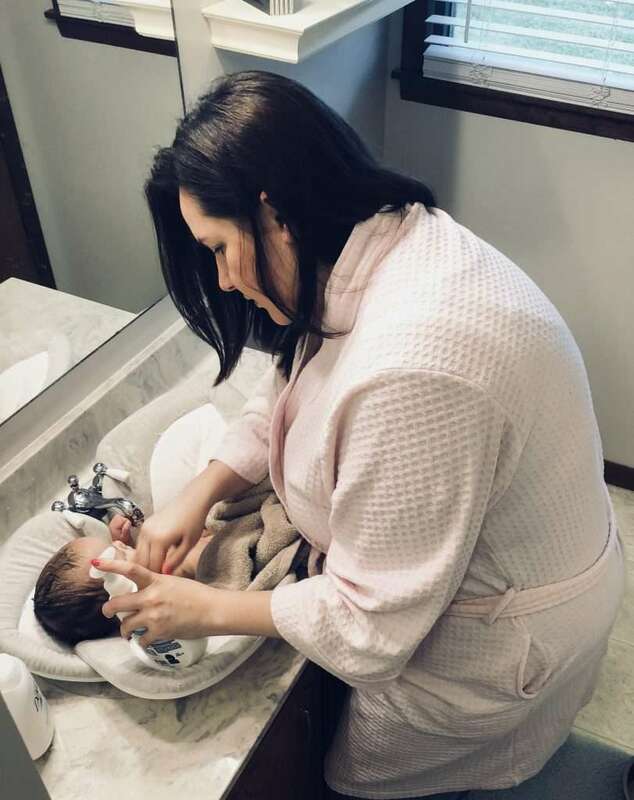 If that isn’t enough to make you want to use the Tip to Toe Wash for your little one, it also contains nutrients that are 100% identical to those found naturally in skin! 4. Offer a night time snack. Rebecca is exclusively breastfed, so I nurse her right before bed each night. I know there is a lot of conflicting information about nursing your baby to sleep. Honestly though, for me, I’m not overly concerned about that information. This is a sweet time that I cherish with her each night. Even if I have been out for the evening for one reason or another, I always nurse her to sleep. This has also helped with my milk supply and nursing her to sleep ensures she is full, and in turn…sleeps longer! If your baby is bottle fed (Levi was), offer a bottle of a few ounces right before bed. Of course, if your baby has reflux, you will need to keep them upright for a bit but offering a snack close to bedtime does help them to sleep better. 5. Finish with a nighttime massage. Baby Rebecca has dry skin, as many infants do. As I mentioned before, I’m pretty careful what I put on her skin. For her nighttime massage, I use Baby Dove Sensitive Moisture Baby Lotion. 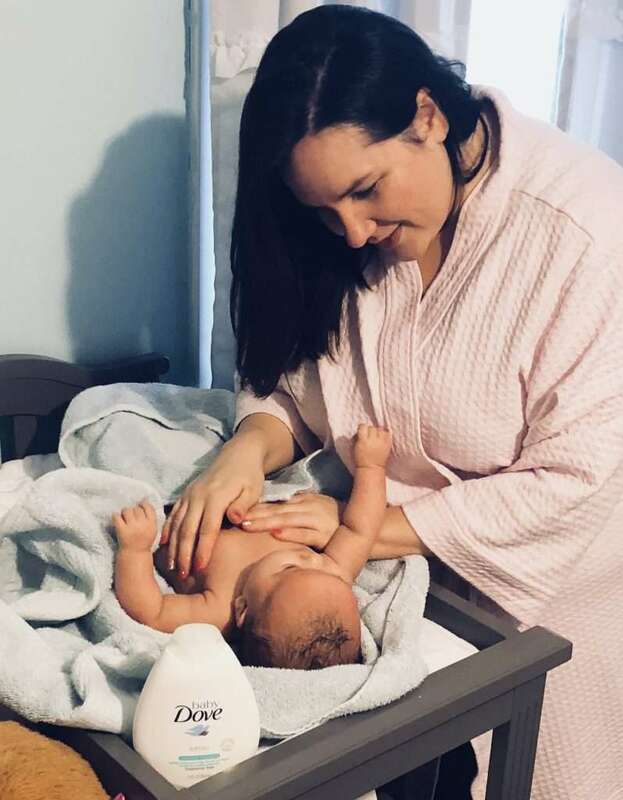 As a mom, I can truly tell the difference in Rebecca’s skin after using Baby Dove products, and I’ll admit – I even use them on myself! Baby Dove cleansers and lotions are made with 100% skin-natural nutrients and are ultra-gentle for newborn skin. I am also excited to share a coupon for Baby Dove products with my readers. You can get your coupon here! Newborn sleep is not an easy thing to master and I know it can be very frustrating when you’re exhausted and at your wit’s end. There truly is no secret to getting your baby to magically sleep through the night (remember, newborns aren’t made to sleep through the night either!). 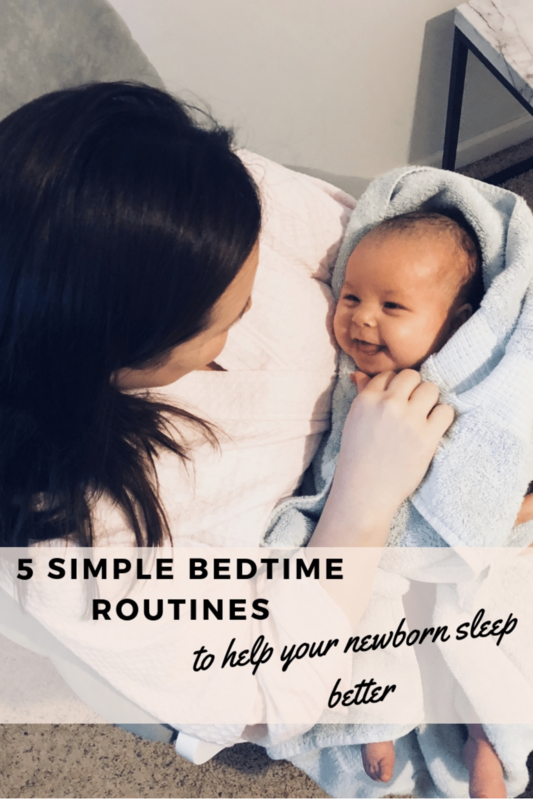 However, with these few bedtime routines, it helps your newborn start to wind down and sets you up with a great routine to follow into their toddler years. What are your favorite bedtime routines? This post was written by me on behalf of Baby Dove.